October is Portland Textile Month and to celebrate The Sustainable Fashion Forum is hosting a panel discussion centered around ethical design and the use of sustainable textiles. It’s estimated that we consume 80 billion pieces of clothing per year. Consequently, millions of tons of textiles are discarded each year, placing an increased pressure on the Earth’s decreasing natural resources. As we look for ways to balance our love of fashion with conscious consumption it’s important that we are aware of the materials used in our clothing and soft goods. 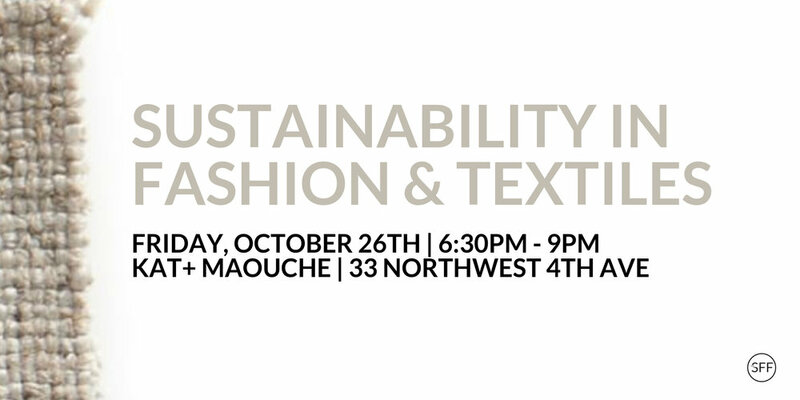 Join us for an interactive panel discussion as we discuss the challenges and goals of sustainable textiles in the fashion industry and explore ways members of our community are minimizing their impact on the environment through waste reduction, new techniques, technologies, and trends.